We want to buy your metals and other recyclables! 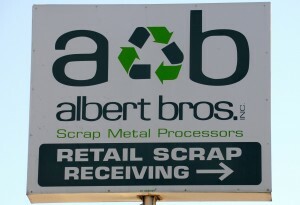 For well over 100 years, Albert Bros. has been the place where individuals, contractors, plumbers, electricians, and companies have come to recycle their scrap metals. We happily accept anywhere from 1 lb to 1 million lbs of material. 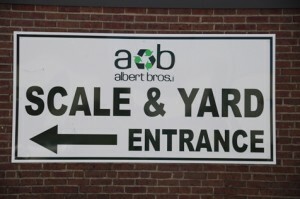 Albert Bros. has earned the repeat business of so many within our community through honest dealing, competitive prices, and professional courteous service. NOTE: WE DO NOT ACCEPT WHOLE AUTOMOBILES OR ANYTHING HAZARDOUS. PLEASE SEE OUR EXCLUSION LIST TO DETERMINE WHETHER YOUR MATERIAL IS ACCEPTABLE.